There is a force within each of us that is itching to be let out, unleashed upon the world with superhuman strength and atomic fury. It is a tension we typically suppress, opting for smiles rather than frowns because society dictates that we act ‘civilized,’ convincing us that our problems are our own and no one else’s. Keep it to yourself. So we keep ourselves bottled up and pretend our way through the daily routine. Sometimes, society is fucked. Brooklyn’s A Deer A Horse stick up a big middle finger in Backswimmer, refusing to passively accept things for what they are, the way they are, and calling on all of us to do the same. Atwood Magazine is proud to be premiering Backswimmer, A Deer A Horse’s dark, heavy, and tense new EP (out 3/10/2017 via Custom Made Music). 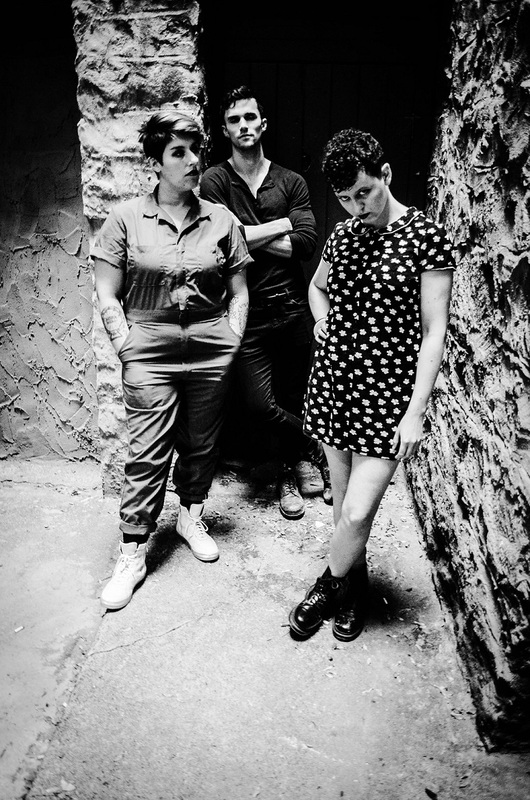 Comprised of Rebecca Satellite (vocals/guitar), Angela Phillips (bass/backing vocals), and Dylan Teggart (drums), Brooklyn’s fiercest indie rock trio are unforgiving on their latest, most explosive and engaging work yet. It turns out that many of our so-called “personal problems” are in fact symptomatic of larger societal issues, and change only comes through speaking up and speaking out. Silence is passive; noise is active, and A Deer A Horse make a lot of noise on Backswimmer, whose name itself comes from the helplessness of being within a rigged system. Powerful guitar and bass riffs play off each other, evoking the doom and gloom musical brilliance that was (and still is) Black Sabbath’s revolutionary Paranoid album. Similar energies flow through Backswimmer, 47 years later. A Deer A Horse teeter on the edge of total darkness, daring to be consumed by the emotions they create and control. “You think that you’re sacred / I think that you’re scared,” sings an amused-yet-mournful Satellite on the Vonnegut-inspired “Statue Sea” as she examines humanity’s lack of true control over fate. This is the deep end of the pool; go back if you’re not ready. At the heart of Backswimmer exists a constant fight between action and helplessness – of fighting the current and risking your all, or allowing yourself to be engulfed by the waves that push against you, imploring you to comply and conform. Resistance inherently means a never-ending onslaught of pressure, but for A Deer A Horse, it’s far better than the alternative. Backswimmer is dirty and raw, an uncompromisingly intense force that invites listeners to unleash their energies and be true to themselves, no matter what the stakes. It is also a reminder that, no matter what situation you’re in – from a dead-end relationship to an overwhelming glass ceiling – you’re not alone. 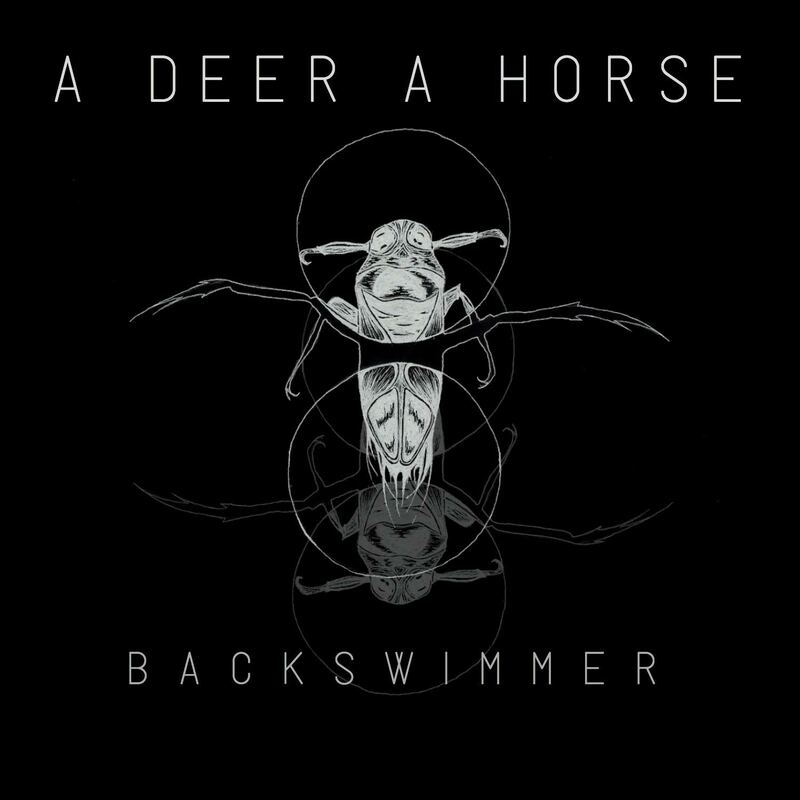 A Deer A Horse’s Backswimmer EP is out everywhere 3/10/2017 via Custom Made Music. Experience the full record via our exclusive stream, and peek inside A Deer A Horse’s Backswimmer EP with Atwood Magazine as the band provide their personal take on each of their four new songs. You can also catch the band on tour throughout the United States this spring (full dates below). Stream/purchase Backswimmer via Bandcamp, Apple Music, Spotify and more.